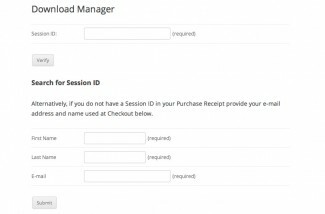 Download Manager makes it a piece of cake for customers to download the latest release of Product Downloads, customers just copy and paste the Session ID from their Purchase Receipt and are presented with a list of your latest purchases. 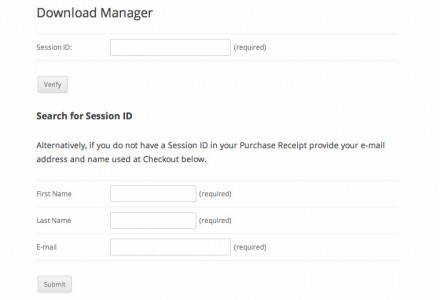 In the case where a customer has misplaced their original Purchase Receipt an easy to use lookup form can locate their Session ID by filling in a simple form. Looking for support, a copy of the readme, Plugin updates, Ideas or usage instructions? 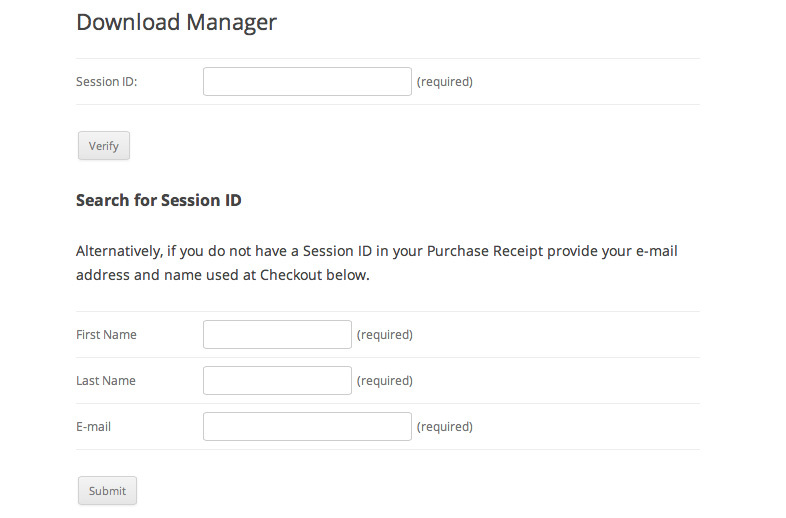 Check out our Documentation for Download Manager. I have purchased the DL Manager widget. I have placed the widget in the sidebar of my Transactions Results page for WPEC. However, when the transaction completes, my Download Manager Widget says “you have no files to download”. Hi Alex, you are requesting support for a Plugin sold on GetShopped.org and developed by Instinct. I recommend contacting their Premium Support team directly. Hey Mr. Visser, the screen-shots images do not appear when I click on them. Download Manager comes with a Quick Start document (readme.txt) to help with installing the Plugin. Additional support can be found from the Contact page or methods below.